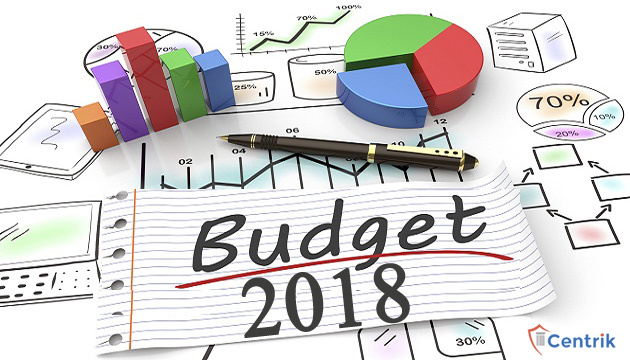 CentrikBlogsBusiness AdvisoryRERA ConsultingBudget 2018: Will the budget 2018 ease Income Tax Benefits for Homebuyers? The economic situation as we have entered 2018 is challenging, most definitely. Finance Minister Arun Jaitley has concentrated on various parts of the economy in the past Budgets. It is expected that the up coming Union Budget concentrate on housing and infrastructure. These will be perfect for giving a boost to the nation’s GDP, and, the finance minister will create Union Budget 2018-19 in a way that would support the economy and guarantee GDP development at a higher rate when contrasted with 2017-18. An amicable budget is what everyone desires. As the Union Budget for 2018-19 approaches, the unsettled question is whether the buyer ought to be in favour of the buyer or builder cordial. This time around, a national flat buyers affiliation has requested that the government should expel the five-year constrain for availing income tax benefits for home purchasers as delays by developers has made it hard to seek the relief. Under current rules, a home buyer can avail tax deductions up to Rs 2 lakh on interest paid if the house is prepared within five years from the end of the financial year in which the home loan was taken and thereafter the purchaser only gets the tax benefit subsequent to taking possession of the house. Fight for RERA has written to finance minister Arun Jaitley, claiming that the limitation clause is harming the home buyers for no error of their as postponement in getting possession is because of the fault of builders. It is likewise proposed that in the event that where assesse is paying both EMI and rent and the date for acquiring possession of ownership has not been met by developers, there ought to be a provision for deduction of EMI paid from total income of such assesse over whatever other deduction that is being provided presently. At last, it is very much evident that government is making every possible effort to give aid to aggrieved home-buyers so let’s have an eye on this Budget as it might bring some more fortunes for the home-buyers.